I want to tell you a little bit about this novel I wrote back in the summer and fall of 2010. Originally it was titled CHERISH. As is usual when I begin writing a book, I had a few seeds of ideas that I started with. First, I wanted to do something in and around a flower shop. I'd written two previous novels where a flower shop played a role and neither of them were ever published. I hoped that maybe the third time would be a charm. I loved the idea of the flower shop being my main character's safe place. And so, where Rae's job is sunny and bright, her home life is dark and sad. In fact, there are strong themes of dark and light throughout the novel. 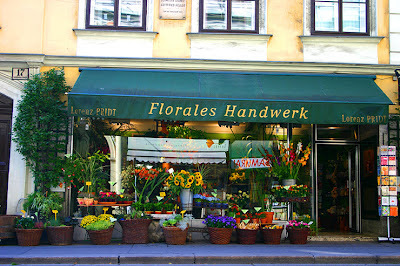 Check out this flower shop in Vienna. So adorable, yes? I love it when there are mysterious notes or clues or something like that in a story, so I decided to add mysterious, anonymous flower deliveries to the story. Who is sending flowers to people throughout town and why do the instructions always have Rae's name on them? Finally, I wanted to try and challenge myself, and wanted to write this book in a bit of a different format. Rae's story is primarily told through flashbacks. This is a tricky thing to do, in case you're wondering. The reader learns on the first page, something bad has happened to Rae, but it's not revealed until the end of the book what has happened. 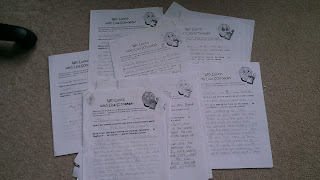 My first draft had Rae doing a project in Language Arts called The Cherish Project (thus the previous title CHERISH). My editor had the brilliant idea that instead of the book reports she was doing, which were kind of boring to read, I could somehow have poetry play a part in the story. And so, Rae is a poet. Through her poetry, she can express her feelings about her abusive step-father and her distant mother. And then something happens at school, and poetry begins to play an even bigger role in Rae's life. So although it is my first YA novel not written in verse, poetry still plays a part in the story. There are also two boys in the story. A good looking boy who is new to school and takes an interest in Rae right away. They start going out. There are things she really likes about him and other things... not so much. There is also a boy who works next door to the flower shop, someone who is Rae's friend. And as time goes on, she begins to lean on her friend more and more, as Rae's affection for her boyfriend begins to turn to fear. 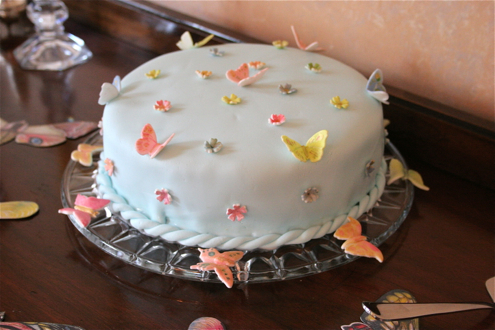 If you were to think of my book like a cake, the recipe for making that cake was not a simple one. 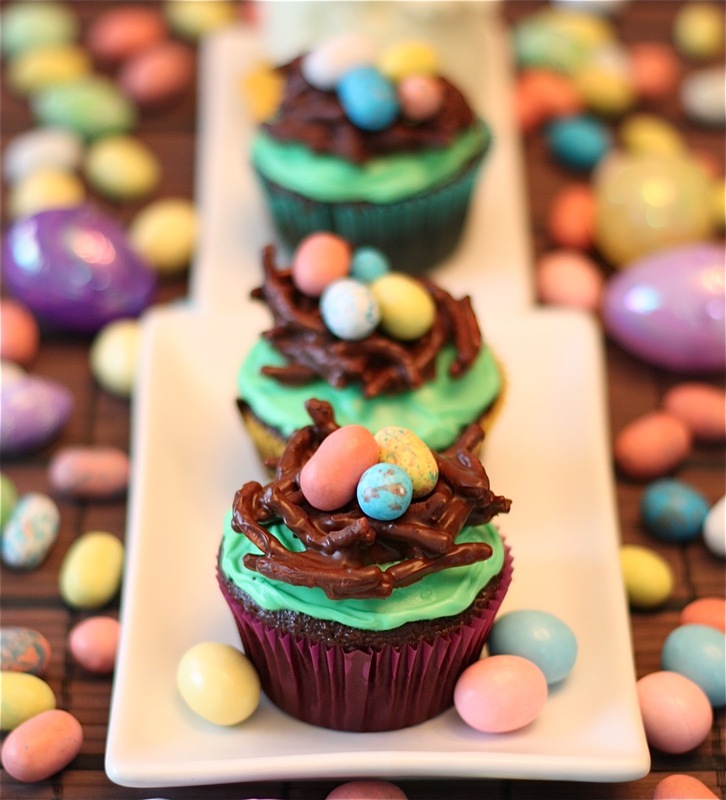 There were a lot of ingredients and the preparation required a great deal of complicated steps. 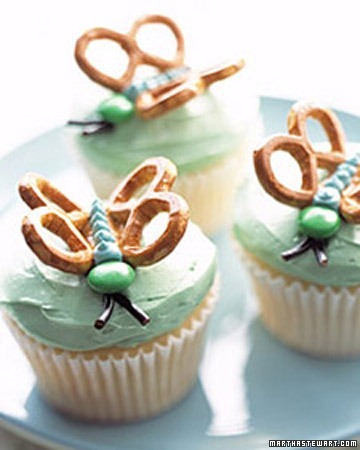 It's a unique kind of cake. Different. I can't even describe the cake very well, and so, I have to just tell you that I hope you'll try it, and see what you think. In December, 2010, right before my sweet friend, Lisa Madigan, was diagnosed with pancreatic cancer, she read an early draft of CHERISH. Her e-mail back to me, with a critiqued manuscript, had one word in the subject line. 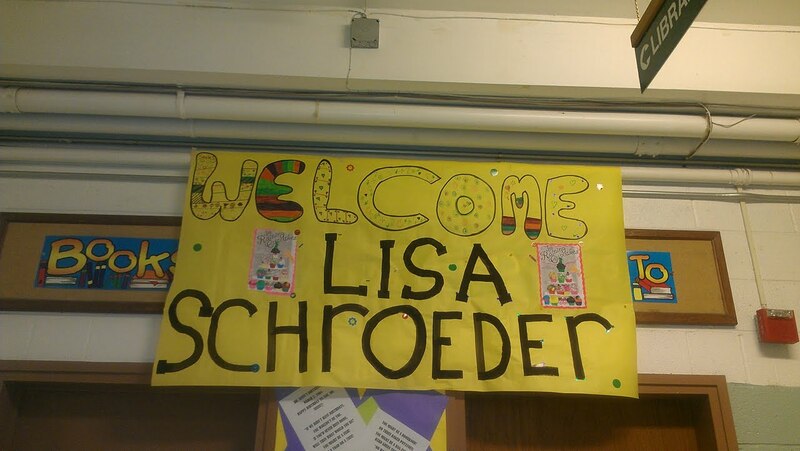 Coincidentally, today is Lisa's birthday. She would have been 49 years old. (I love and miss you, Lisa). Soon reviewers will be sent galleys. Some bloggers, teachers and librarians may read the book through Simon and Schuster's galleygrab program. And next January, thanks to my publisher Simon Pulse, the book will be available to the public to purchase. I think one of the hardest parts of being an author is letting a book go. But it's time. The book doesn't belong to me anymore, and so, I have to let it go. To let it be what it will become out there in the big, scary, exciting world. My work, with the help of my friends, my agent, and my editor is (mostly) done. Best wishes, dear book. My greatest hope is that you touch the lives and hearts of those who read your story. Last week, I traveled four hours to beautiful Grants Pass, Oregon, where I did a two-day school visit at South Middle School. 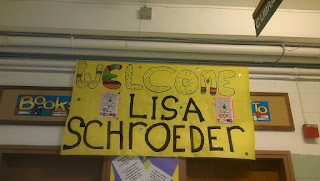 I had a great time talking to the kids, signing books, chatting with the Library Tech, Mrs. Anderson, as well as the Language Arts teachers and the Science teacher who is the Author Visit Coordinator. The visit went so smoothly and I'm grateful to everyone for their hard work. The kids were invited to enter a writing contest to have lunch with me, and a whole bunch of kids wrote some amazing stories. They were asked to write about meeting one of their favorite characters from one of my books. 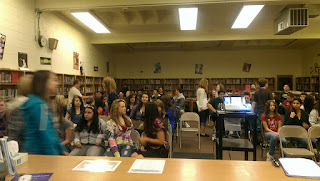 Here is a picture of some of the eighth grade students, streaming into the library. The Language Arts teachers were so great about getting behind me and my books. The sixth grade teacher read SPRINKLES AND SECRETS to his classes. The seventh grade teachers read CHASING BROOKLYN. And the eighth grade teachers read I HEART YOU, YOU HAUNT ME. One of the eighth grade teachers said she was also having the kids write some verse of their own. And the seventh graders acted out some scenes from I HEART YOU, YOU HAUNT ME. 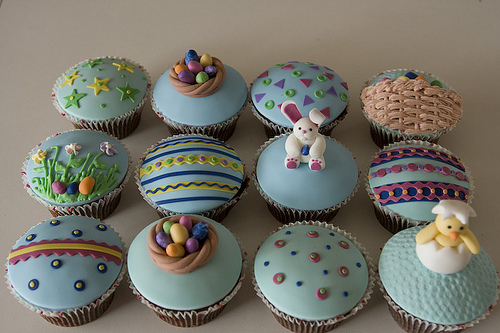 Love that! 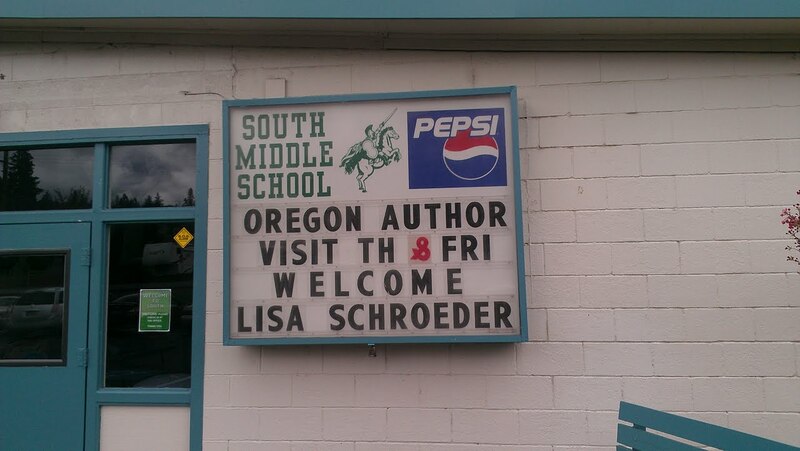 Thanks to everyone at South Middle School for an amazing time! 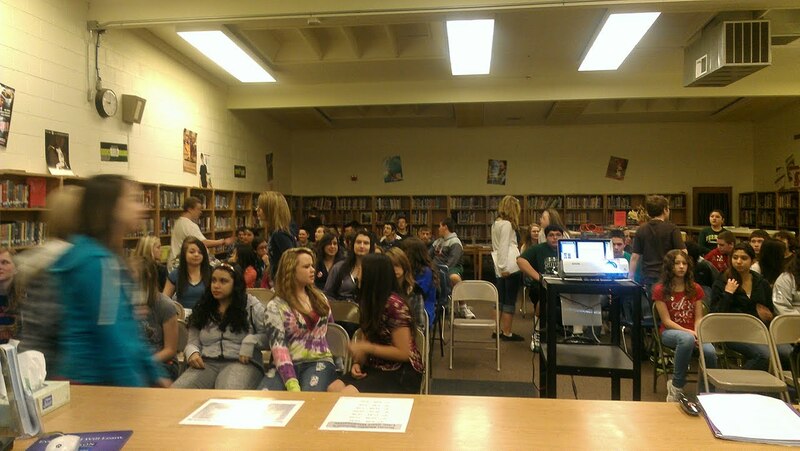 Next up - Blackhawk Middle School in Bensenville, IL! I love getting notes from readers. It is one of the best parts of being an author! "I just finished reading The Day Before and I absolutely loved it!! It was beautifully written and moved me to tears. Now I'm begging you to write a sequel. I desperately need to know how Amber and Cade's story turns out. Please continue writing your amazing stories." 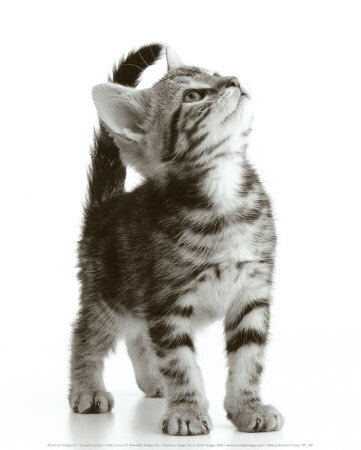 Some readers, like Sarah, are like curious kittens. They want to know more! But this kind of e-mail, the one that asks for a sequel, is one of the hardest for me to respond to. You see, I know what it's like to love a book so much, you don't want it to end. To fall in love with the characters and to want to continue living through their eyes. And as an author, one of the highest compliments you can pay me is to tell me you'd love another book featuring the same character(s). But then, I feel like I have to break your heart in my reply, and tell you that no, there is no sequel planned at this time. Today, I thought I'd share with you why I haven't written any sequels to my YA novels that are out now, and talk about sequels a little bit in general. Each one of my four YA novels that are out now were written with a clear beginning, middle and end in mind. Each one was meant to stand on its own. And if you were to compare the endings of the four books, I think you would see they all have one big thing in common. 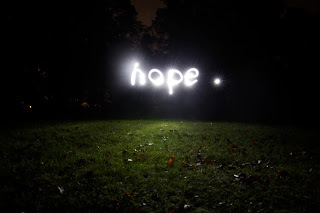 They end in a place of hope. The character has made it through the hard stuff. She doesn't really know what lies ahead, but she feels much more hopeful about it than she did at the beginning. When readers ask for a sequel, I *think*, like Sarah, they want to know what happens to the boy/girl relationships. In I HEART YOU, YOU HAUNT ME, does Lyric go out with Cali, or does he keep pursuing Ava, and if so, does she finally give in? In CHASING BROOKLYN, what happens with Nico and Brooklyn? Do they grow closer? Does she come to love him the way she loved Lucca? And in THE DAY BEFORE, do Amber and Cade meet up in six months, when she comes home from Texas? Do they fall in love? Writing a sequel means coming up with a new plot, unless the author has written the story line so the arc is set up over two or, in the case of a trilogy, three books. But I wrote each of my YA novels as stand-alones. If I were to write a new book, with the same characters, I would need a new problem for those characters to overcome. Some kind of conflict. Because remember, plot = conflict. Although you may think you might want to read 300 pages of Amber and Cade walking around the zoo, having fun, after being away from each other for 6 months, it would just not be very interesting if there weren't problems. How do the characters grow over the course of a story is an important one to ask when writing YA. In order to grow, you need to have obstacles to overcome. In real life relationships, there usually is conflict. Couples get in fights. They break up. One wants to get back together but the other moves on. And I'm not quite sure that readers really want to see the characters having conflict like that. And to be honest, I'm not sure I want to write it. I like to imagine Cade and Amber happily ever after. And the thing is, so can you!! I would be remiss if I didn't mention the business side of publishing in this discussion as well. None of my books have been big sellers. I am very much a mid-list author. So, why should my publisher invest in a sequel for a book that hasn't sold all that well? For illustration purposes, let's say only 3,000 people bought the first book. Well, a year goes by, lots of those people forget about the book, so when the sequel comes out, there may only be 1,500 people getting the second one. It doesn't make much business sense to invest a lot of money in a book that won't appeal to many readers. Now, if we were talking 100,000 people who bought the first book, then yeah, the publisher could probably get behind a sequel. And I would probably be very motivated to write one, if a third of those people were writing to me, asking for one!! But as it is now, I get that question maybe once every couple of weeks. And while I love my readers, and am so thankful for them, there just isn't a good enough reason to write any sequels at this point. So... I encourage you to answer your own questions. What happens to Cade and Amber? Whatever it is you WANT for them can happen!!! 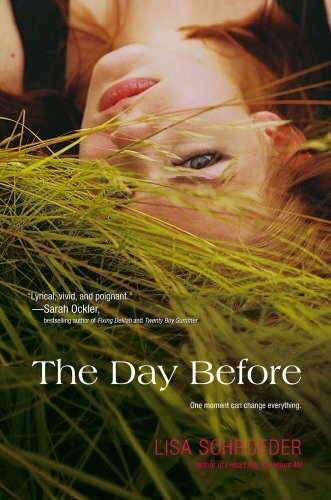 My YA novel, THE DAY BEFORE, is a finalist for the Oregon Book Award. The awards ceremony is April 23rd, and that's when we find out who wins. There is also a Reader's Choice Award, and anyone can vote for a favorite book among all the finalists.